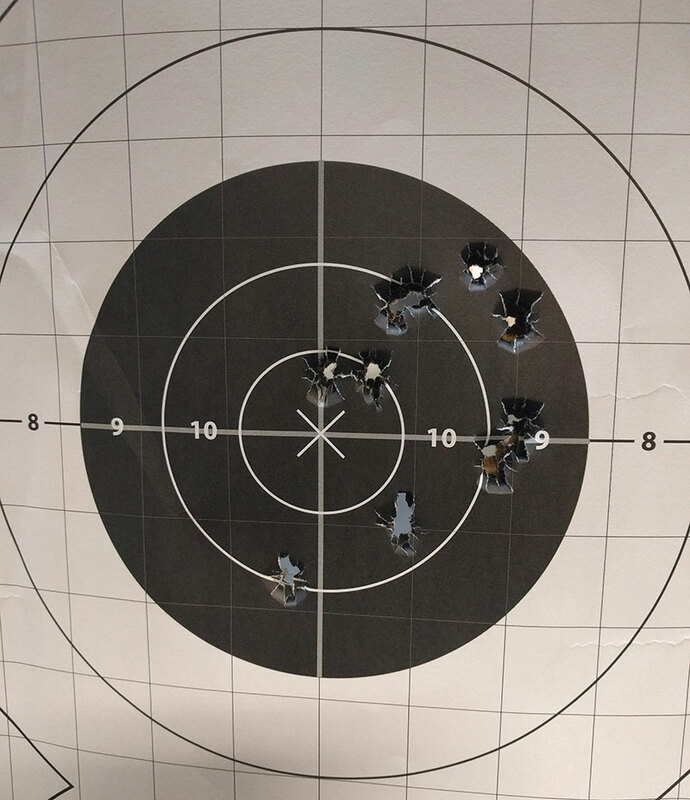 I hit the range and ran a 100 (ten rounds standing freestyle two handed at 25 yards) as fast as I could pick up the front sight, probably just around one second a shot with my soon to be EDC FDE Gen3 G19 w/ Ameriglo Defoor Sights (tritium) and Barsto Barrel. After that I ran the same 100 with my G19L with Dueck Defense RBU w/ Trijicon RM06 RMR . Not bad, but not great. I used VTAC targets which are double sided since the range was all out of NRA B8 targets . 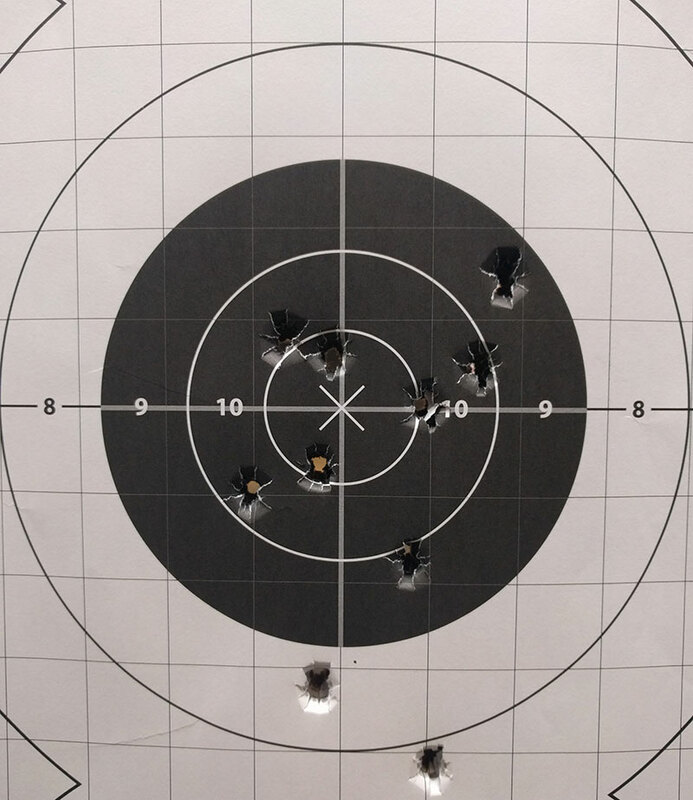 I would normally run a 200 drill cold but for that I want to make sure I have a full sized target so that I am completely accountable for my rounds.